We all know Gaga is extra. But the kneeling at his feet thing is… I’m having a really hard time with it. So I prefer this one. Because he’s the one looking at her. 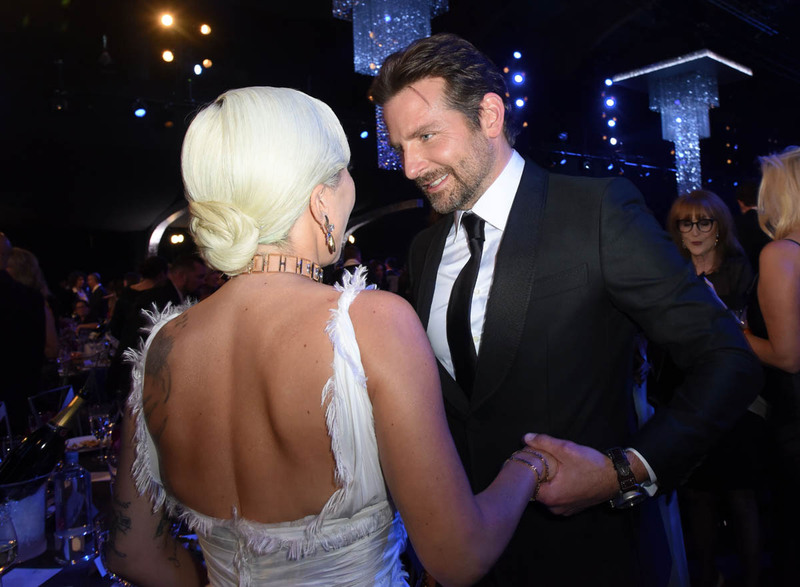 And as I’ve written before in my reviews of A Star is Born, when Coop looks at Gaga, to me, is when he does his best acting. He is so good with his eyes in this film. And it’s also such a great callback to his anchoring line, when he says goodbye to her the morning after they spend the night together, and he rolls down the window: “I just want to take another look at you”. Jackson SEES Ally. He sees her when no one else will. 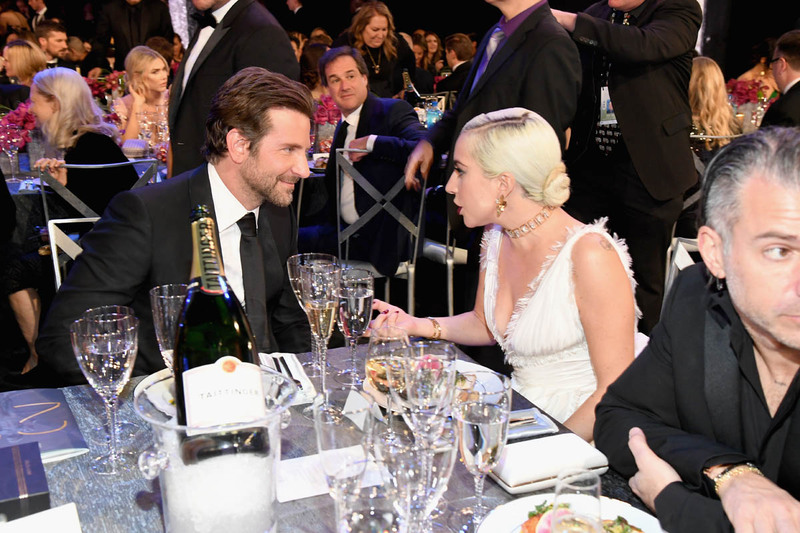 He sees her talent. He can’t stop seeing her. He looks at her so good. It’s the most underrated part of his performance and I wish more people would talk about that than all the times he cries or growls or whatever. Because it’s not easy to act without words. To do everything with only your eyes. As Glenn Close said last night, the transformative power of acting happens when two eyes connect to two other eyes. 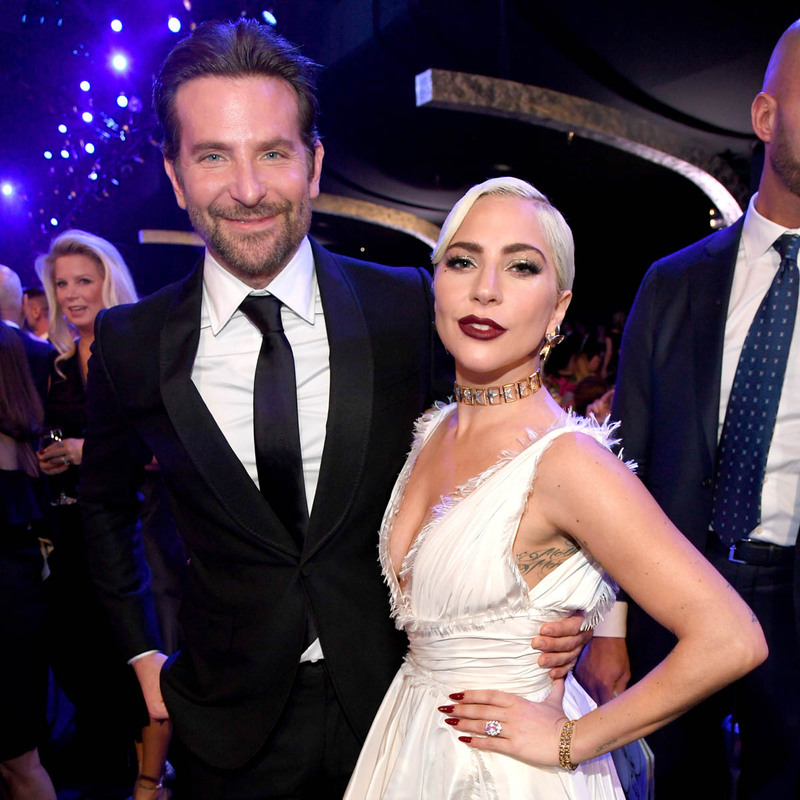 This is what Bradley gives us in A Star is Born. And what he’s doing on stage with Gaga in Vegas. 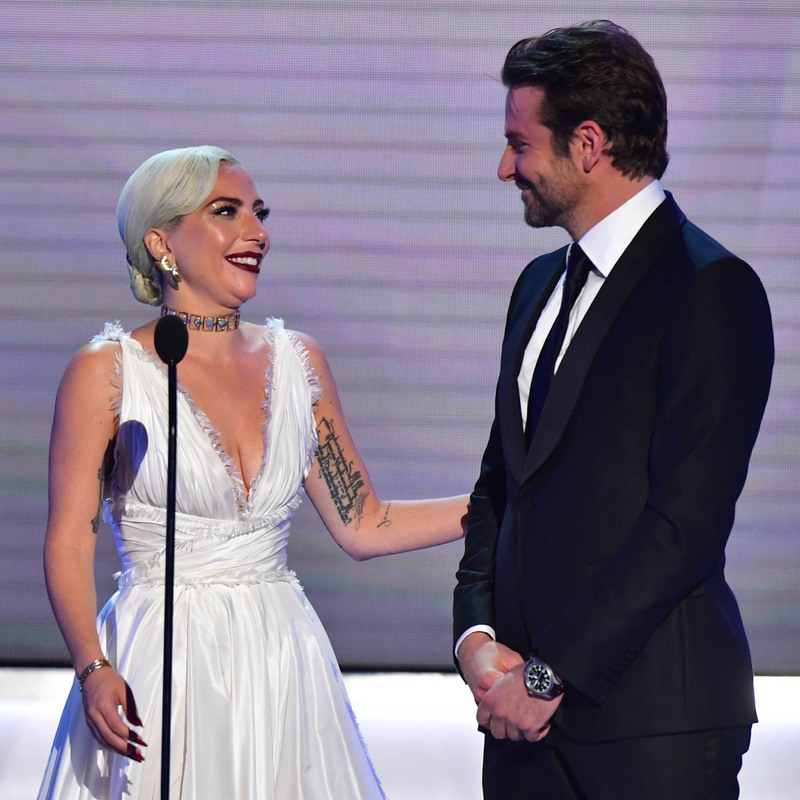 It’s the first time they’ve performed “Shallow” live in public since the movie’s release. And conveniently just a few days after their Oscar nominations. Is this the dress rehearsal for the Oscars? Whatever it is, it’s also excellent campaign strategy. We’re reliving Jackson and Ally here. When she’s starts givin’er (HA HA AH AH HA – you know that part ) he gets up, walks around to the same side he was standing in the scene from the movie, and starts nodding the way he did in the movie, nodding in appreciation, with pride. He even goes in with the air guitar. Then he joins her on the bench and they finish the song, side by side, embracing. For a lot of people, that was the high point of the film. For me, the film was flawless up to that point – and just beyond. It’s perfect right up to when she teases him about being jealous after Rez tells Ally he wants to manage her. 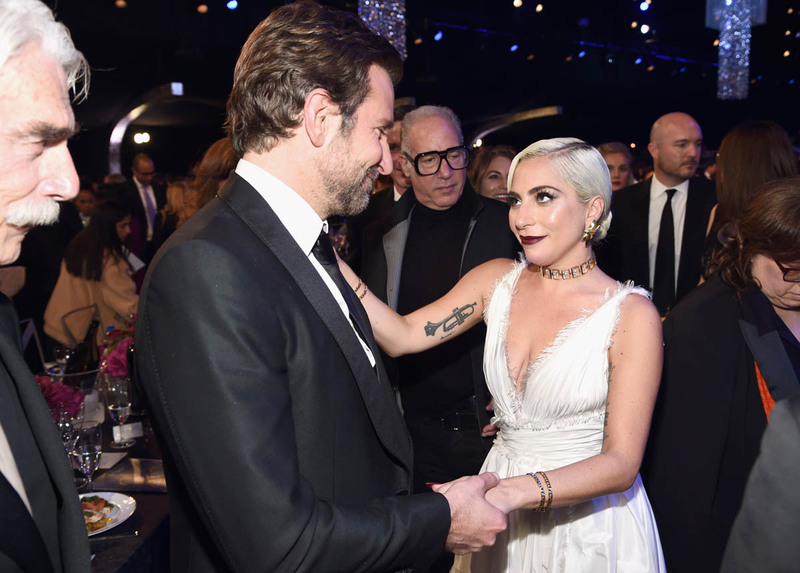 If the film had been able to sustain that, instead of becoming a criticism about pop music, I’d be an ASIB evangelist. Right now though, the focus is on this moment, this song, and the chemistry that they’re recreating as a reminder to anyone who might be seeing it, and voting on it, that they’re still in the game. It also serves as a teaser for what we might get at the Oscars when they perform together in front of a worldwide audience. 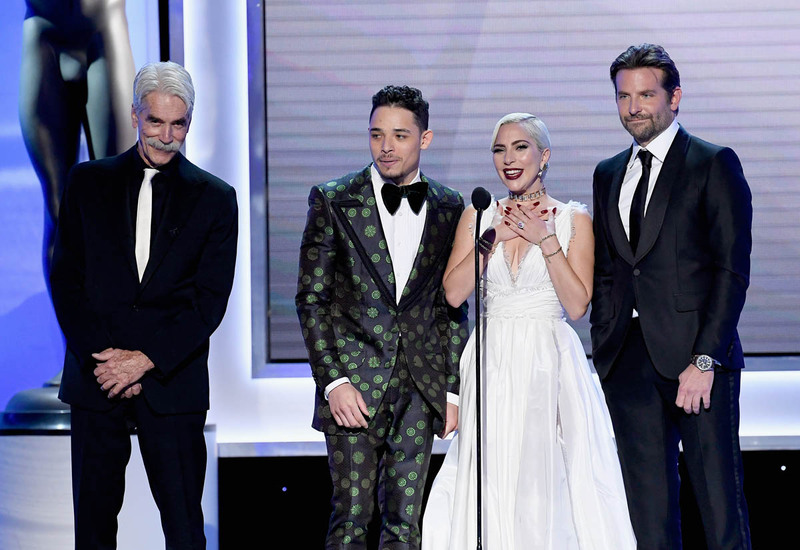 “Shallow”, by the way, is also nominated for several Grammys. Joanna was wondering whether or not this was a rehearsal for a possible Grammys performance. Can you imagine how f-cking pissed the Oscars would be though? 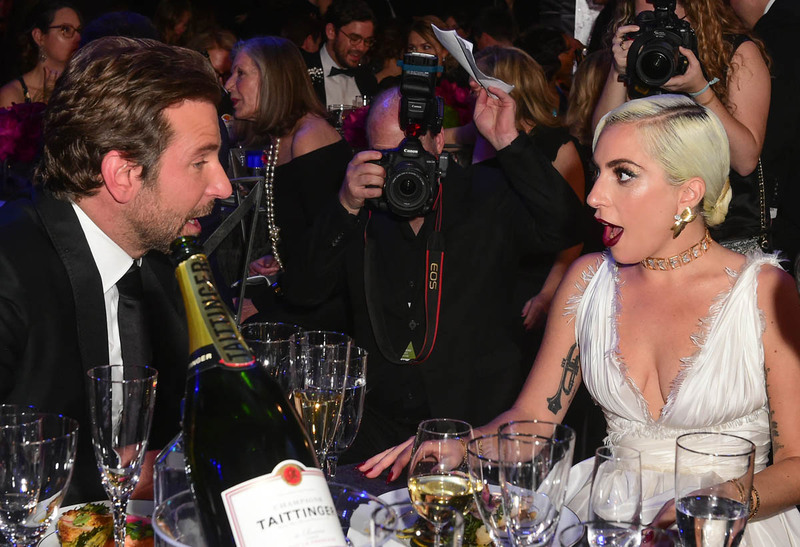 If they’re all about exclusive presenters and performances and hoping one of the highlights of the show will be Gaga and Coop performing “Shallow” and they get scooped by the recording academy two weeks before? 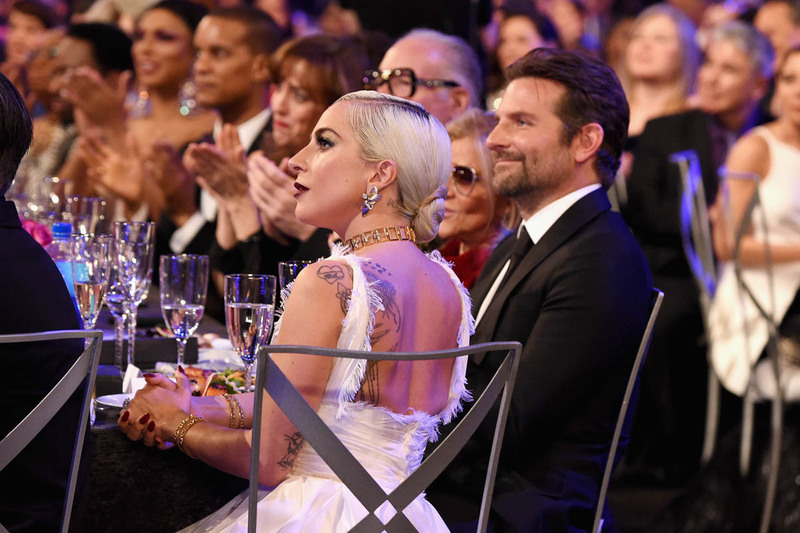 Here are Gaga and Coop at the SAGs last night where ASIB went 0 for 4 which, no, isn’t great for their Oscar chances but I don’t think it’s totally dead yet. This is a wide open race, as we’ve seen with so many different award show and critics’ boards breaking in so many different ways. 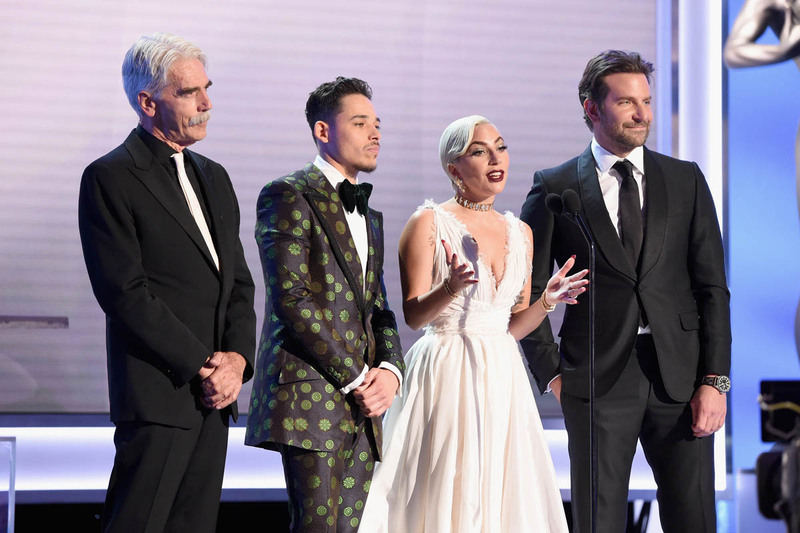 If there’s a split, say with Green Book and Roma, or Roma and The Favourite, or even a three-way between them, one film could surge through the deadlock to prevail. It could be Black Panther, it could be BlackkKlansman. 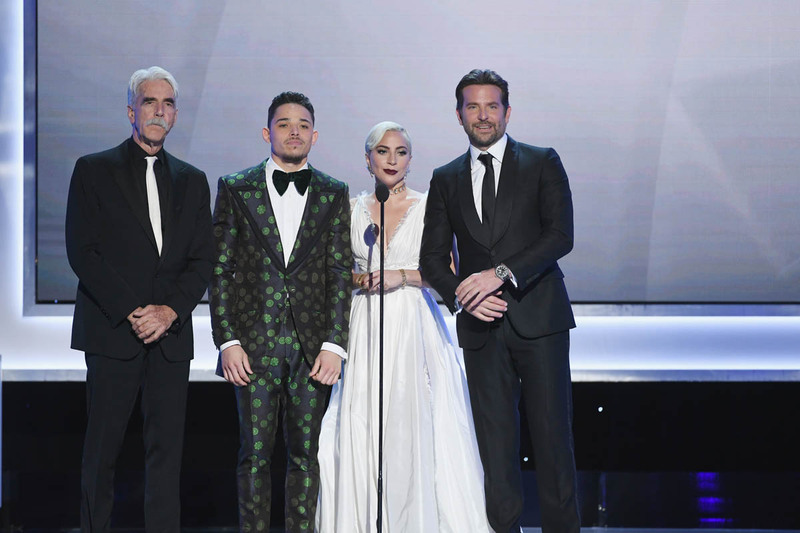 It could be A Star is Born. Anything is possible this year.